Everyone deserves a vacation to kick back, relax and enjoy time away from our everyday routines, and as anyone who's taken a trip to Pawleys Island would attest to, one venture to this lowcountry paradise will have you planning your next getaway as soon as you get home. However, with our busy schedules and budget concerns, sometimes taking a vacation can get pushed to the side. But that doesn't have to be the case! What if you could win a seven-night Pawleys Island vacation, free of charge, each year for life? Luckily for you, with the Vacation For Life contest from Brittain Resorts and Hotels, that's exactly what you can win with a simple entry! Just think how amazing it would be to plan a completely free seven-night vacation to your favorite Pawleys Island resort. Simply visit the home page to quickly sign up with your name and email address to enter the contest. Best of all, with the Vacation For Life contest, a win gets you access not only to our great vacation properties in Pawleys Island, but also the entire catalog of Grand Strand resorts within the Brittain Resorts and Hotels family. Looking to stay right in the heart of Myrtle Beach? You can do just that at partner Myrtle Beach oceanfront resorts like the Breakers, Caribbean Resort or Compass Cove! 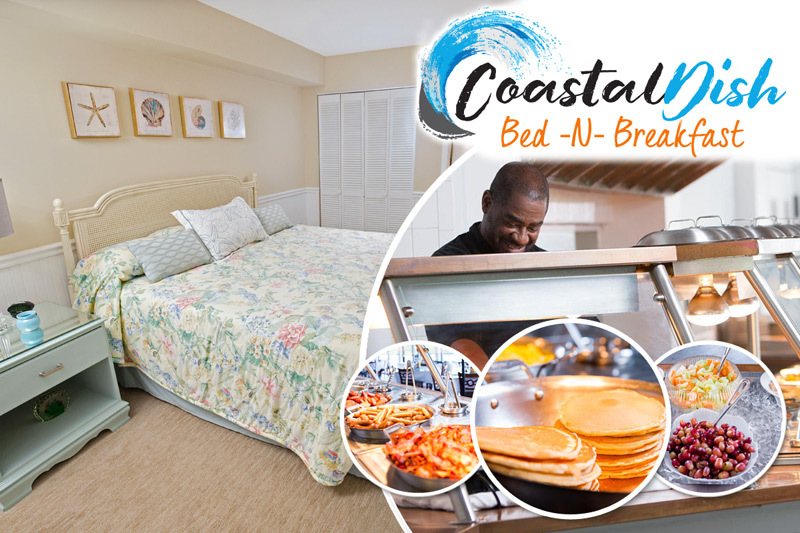 Feeling like North Myrtle Beach is the spot to be? Then check out the spectacular North Myrtle Beach condos and beach houses at the luxurious North Beach Plantation resort! In addition to giving away the grand prize of a seven-night vacation for life, four other winners will receive a seven-night vacation at their choice of the Brittain Resorts and Hotels vacation properties in Myrtle Beach, North Myrtle Beach or Pawleys Island. What are you waiting for? Sign up for the Vacation For Life contest today and begin imagining how awesome it will be to have a free Grand Strand vacation every year!